BisMan_UU is one of more than 5,000 organizations on LibraryThing. About meWe are a fellowship of free minds, welcoming all, a beacon of enlightenment and sanctuary, and offering a call to build a better self, community, and world. 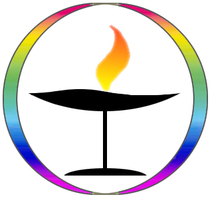 About my libraryThe mission of the Bismarck Mandan Unitarian Universalist Fellowship and Church is to provide materials supporting the spiritual and intellectual pursuit of congregation members and friends.